If you can't get enough of Red Tomato's all-time-favourite crispy thin Pizza Cream Funghi, then good news for you. 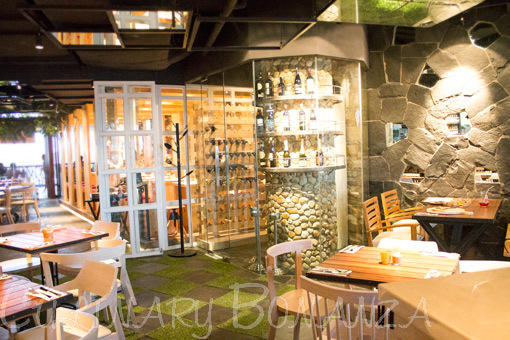 Red Tomato has recently added a new outlet in South Jakarta's Kemang. As I arrived at Lippo Mall Kemang's open air Avenue of the Stars, it gave me an impression reminiscent of Beachwalk Bali, but a mini version and minus the sea. Too bad it rained soon afterwards, so the bazaar and the commotion on the Ground Floor dissipated for cover indoors. 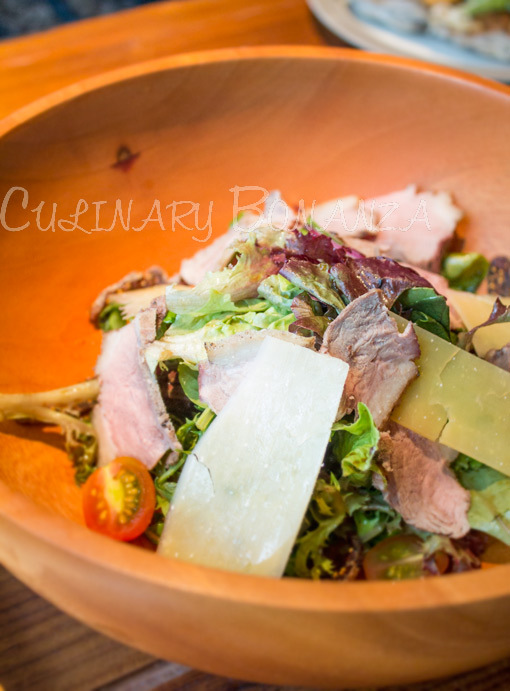 So what's different from Red Tomato at Plaza Indonesia and the one at Kemang? 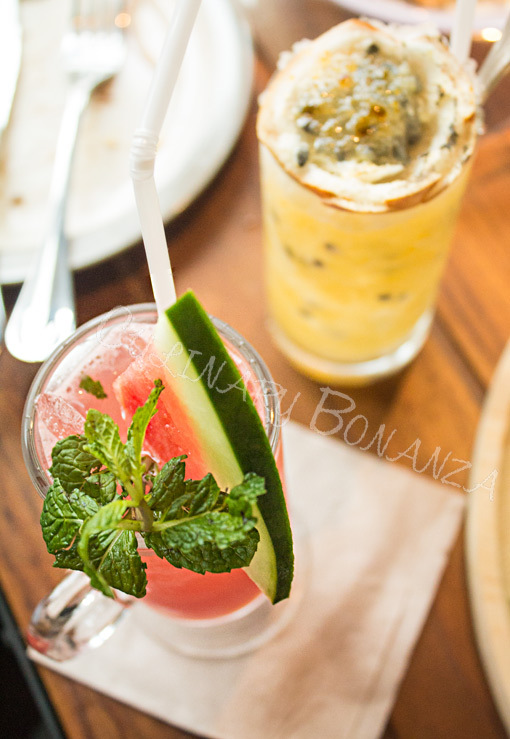 Kemang is well known for its buzzing night life, so, not wanting to lose out from the competitors in the area, Red Tomato here offers diners to indulge in alcohol, signature cocktails crafted by international mixologists, there's even a chiller room in one corner to store (and display) the wine selections. 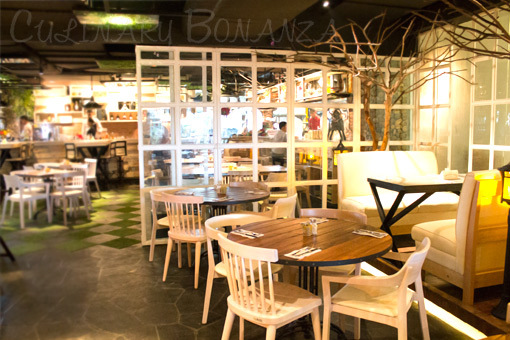 Plaza Indonesia is geared towards family dining, so they don't have alcohol there. What else? Crispy thin Pizza (of course). The new pizza on promotion is the Black Series Pizza, which infuses squid ink in the pizza crust and choice of topping either Pop Shrimp or Squid, and a generous greens! 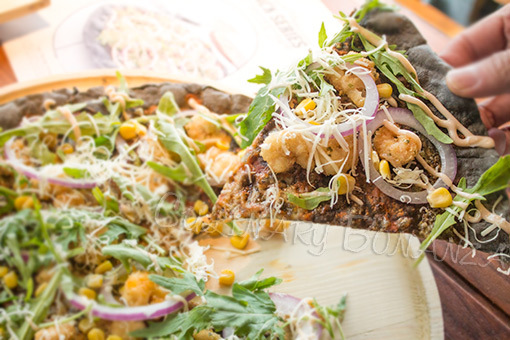 This is perfect for the health-conscious-but-I-still-love-pizza kind of folks. 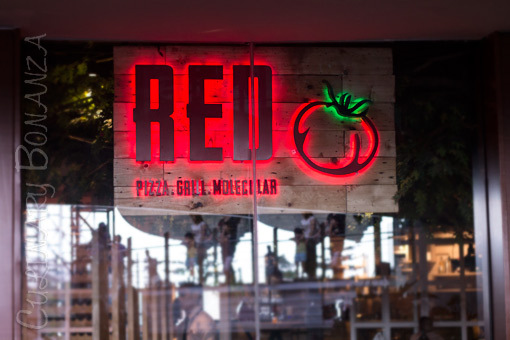 Besides the Black Series, Red Tomato also plays around with some Asian flavours for its Pizza. 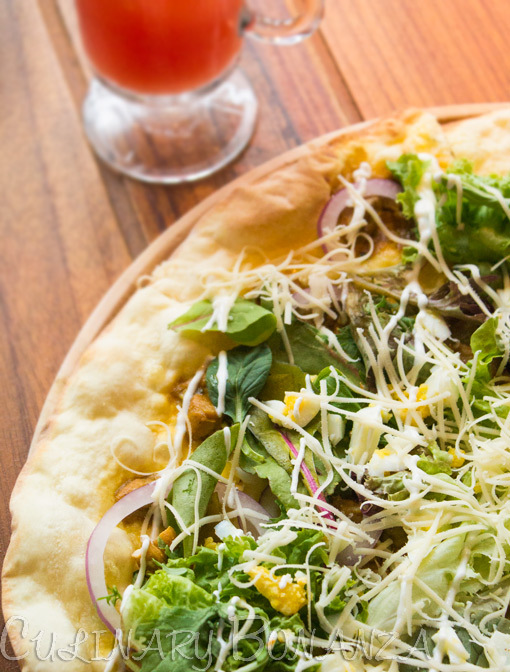 As you can see in the photo below, there's the Nyonya Chicken Rendang Pizza and on the menu, I spotted the Hoisin Duck Pizza. Interesting Asian twist to Italian favourite treat, don't you think? I had the dessert cocktail, although it's too early for a booze (who cares, on weekends every hour is happy hour!). 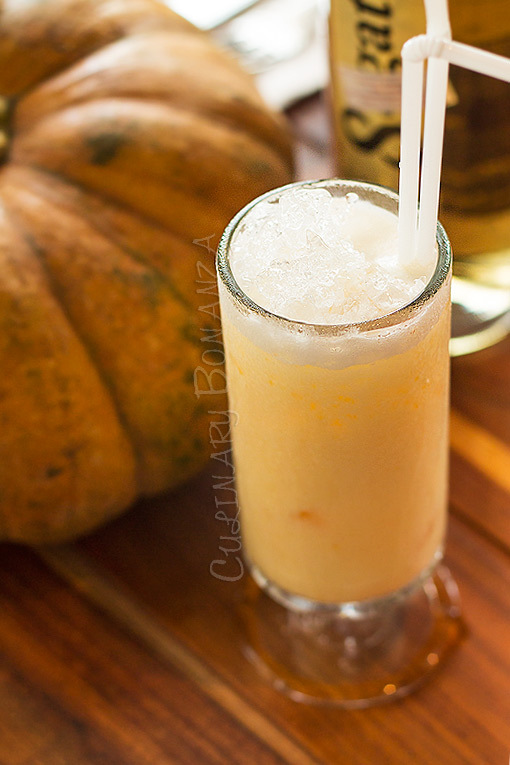 The Pumpkin Pop is made with pumpkin puree, condensed milk and Cachaça (pronounced KA SHA SA, a liquor made from fermented sugarcane juice). If you start your meal with dessert (like me), you must be a sweet tooth! Pastas. The Gnocchi and the Dancing Pasta were in bold red print contrasting with the rest on the menu. So this must be recommended items. 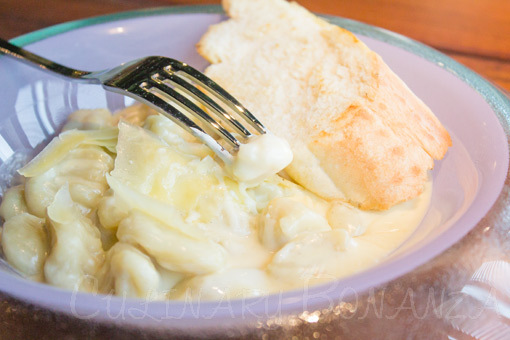 It would be unwise not to give these a shot...The gnocchi with four cheeses comes with of course, cream sauce. 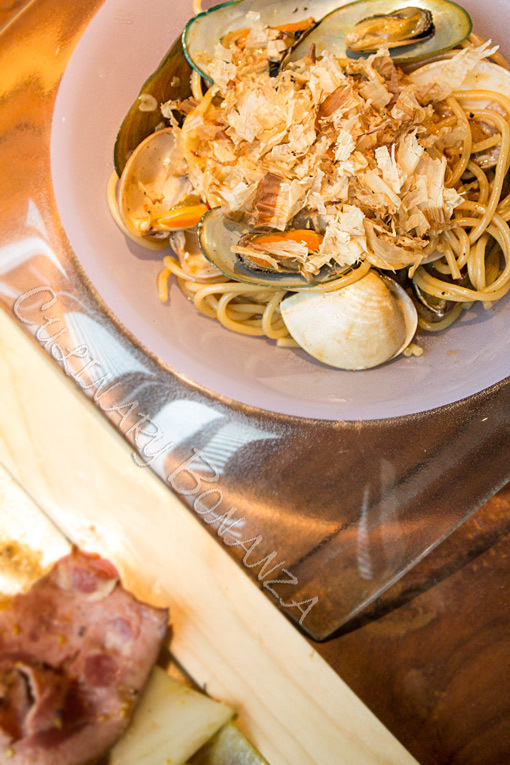 The Dancing Pasta, topped with mussels and clams tasted spicy and slightly on the sweet note. It is named 'dancing' because the flaky and paper-thin katsuobushi topping appears like dancing when it is still hot. Yes, it's the same topping you see used for Takoyaki and Okonomiyaki. 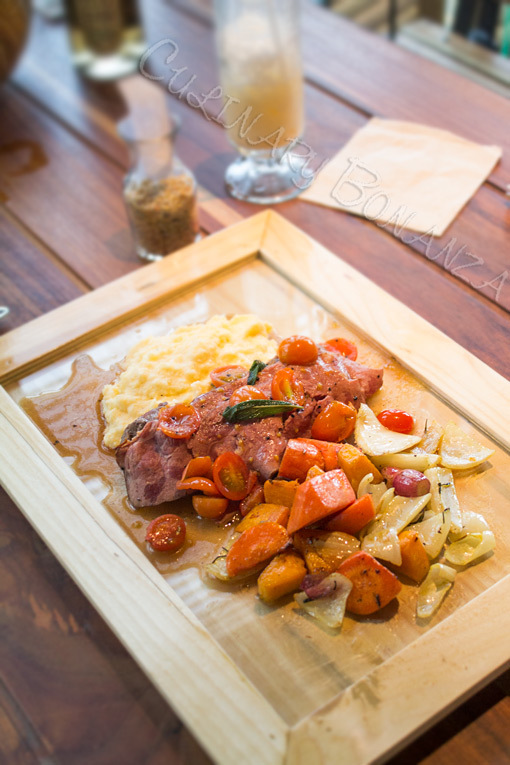 Main Course: 120gr medallions of pan roasted beef veal tenderloin served with pan gravy sauce creamy polenta & roasted vegetables. The recommended serving was medium rare, but I personally prefer it medium well, which was still fine and rich with the veal juices. Notice the serving plate, it's actually a picture frame! 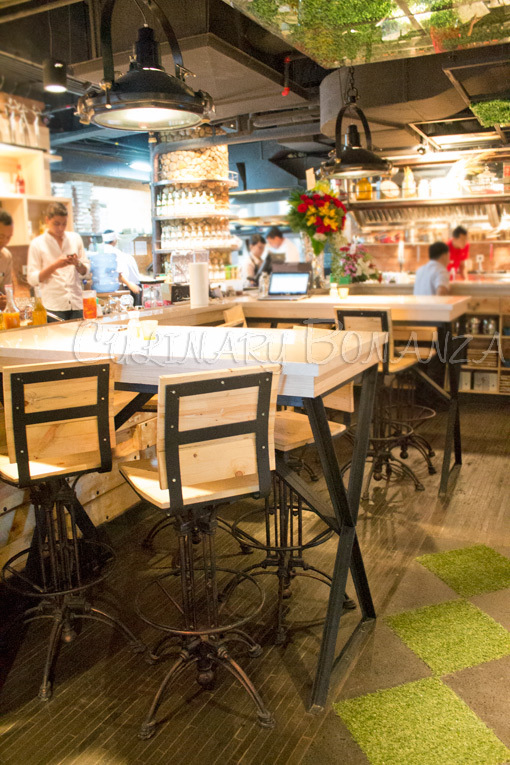 Decor wise, Red Tomato still preserves its signature interior: the checkered floor with alternating faux grass. It's rustic and playful, but still cool for adults to hang out at. Unfortunately, the dessert display has not arrived yet, so dessert is not on the menu yet (bad news for me), but at least I had the yummy dessert pumpkin cocktail to start my meal earlier. The molecular concept is still under R&D, so check out their social media timeline for latest updates. I reckon this is absolutely worth checking out, especially if you think you have a western palate and health-conscious, are you? "on weekends, every hour is happy hour" I was really laughing to myself when I read that line.. Tempatnya bagus bgt ya.. jd nyesel wkt itu ga dateng.. huhuhu..